Yes! 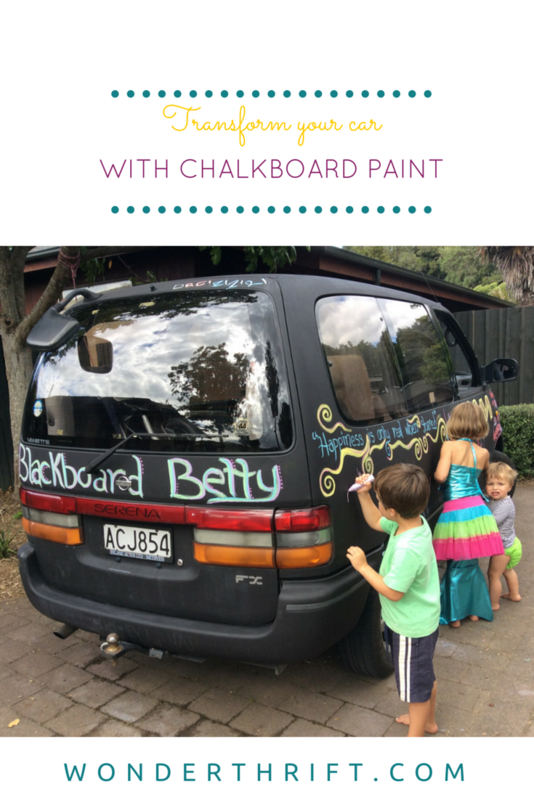 I said DIY Chalkboard Paint Car Job! 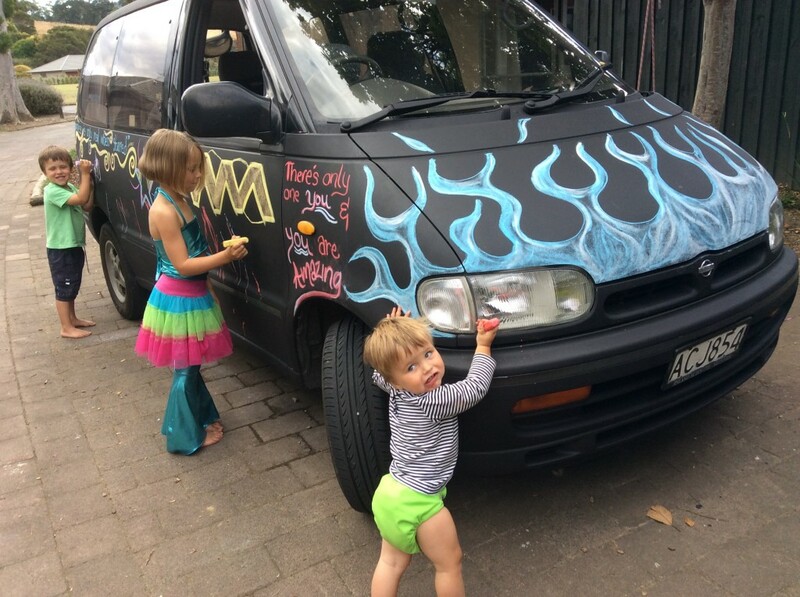 It is possible to do a thrifty paint job on your own car, by hand, with all kinds of amazing paint. She Did It Herself. Painting your car is definately, in my head at least, in the box marked “For Pros only” along with plumbing, electricals and parenting. (Just kidding about that last one, although sometimes, when my kids have covered every inch of their faces with my mascara I do think “I should never have been allowed to be a mum…”) The fact that Hania had the gumption to tackle this with her own fair hands is EPIC. It is SO FUN. Seriously, have you seen a more fun car? Fun cars are the best. We had a little red mini when we first got married and everywhere we went people laughed and pointed in glee and we could cut in and pull out and normally enraged drivers would simply wave and smile. Hania takes their car into town and people’s eyes almost plop on to the pavement. Hania says “Anyone who has painted a room can paint their car!” She advises that the first thing to do is give your car a really good clean, especially around the wheels. (Yawn! Just jokes.) She used a small 15 cm roller to do the body and a small artist’s brush to do the fiddly bits. Don’t, you know, do it when it is raining. And avoid doing it under a hot sun too as it drys too quickly, before you can get an even tone. Give it the full three days before drawing on it, Hania didn’t and a few patches show that. Don’t worry about being too perfectionist as once it has been chalked on none of the slightly bumpy bits even show. Chalkboard paint is incredibly forgiving, in that sense. Look at the fun they are all having! Right! I am off to chalkboard paint my plumbing pipey things, my electrical works, and my children. That looks so much fun! This came out awesome!! been planning to do this for years now. Finally ready. I am planning on the same paint, how is it holding up to the elements so far?